Those who wish to track their orders can do it easily when they place an order from our website. You will be provided with the tracking number as soon as your product gets shipped. You will receive your tracking order number through the mail or in your mobile number. You can start tracking your delivery normally after 4 days of the shipment of your delivery. How to get your tracking number? Though there are different ways of getting your tracking number like getting the shipping receipt from the post office. But here you can get a confirmation if you have shipped from USPS.com and here you will get it from us via your mail or your shipping confirmation mail or in your mobile. How to trace your delivery? You need to visit the website https://www.usps.com where you have to give your tracking number and then follow the given instructions. 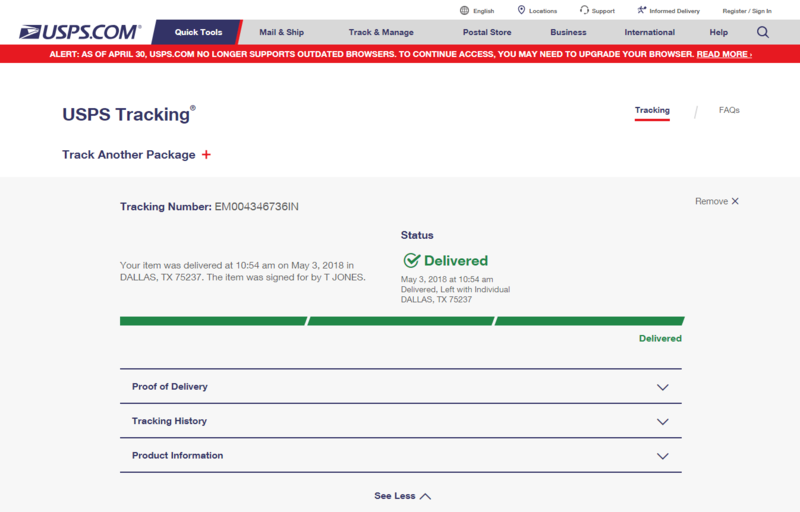 As soon as you feed your tracking number and then click on the track button. You can easily get the tracking details of your order.